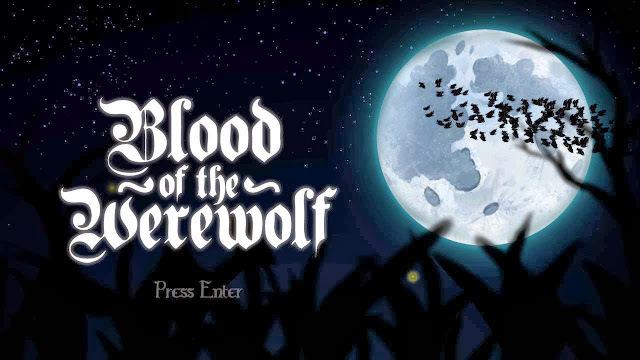 As we've said before, Blood of the Werewolf is incredibly difficult. It's devices and traps are simple, and the most frustrating parts of the game shred nerves like so much paper. These moments stretch on into minutes and beyond as the game taunts you with seemingly simple tricks of timing and agility. It's exhausting at times, but the sensation of finally besting BOTW's gauntlets is more than enough reward to keep you playing. Due to my own difficulty with the game, this writeup has been delayed. I grew up on Ninja Gaiden, Castlevania, Contra and Megaman. I'm no stranger to the more difficult side of platformers, but it has been a long time since I've played a game of this caliber. BOTW has all the trappings of the classics. It's fast, taxing and loaded with difficult enemies and traps. The atmosphere and story create an urgency to your play. You're compelled to move forward, despite being stopped time and time again by devious obstacles. 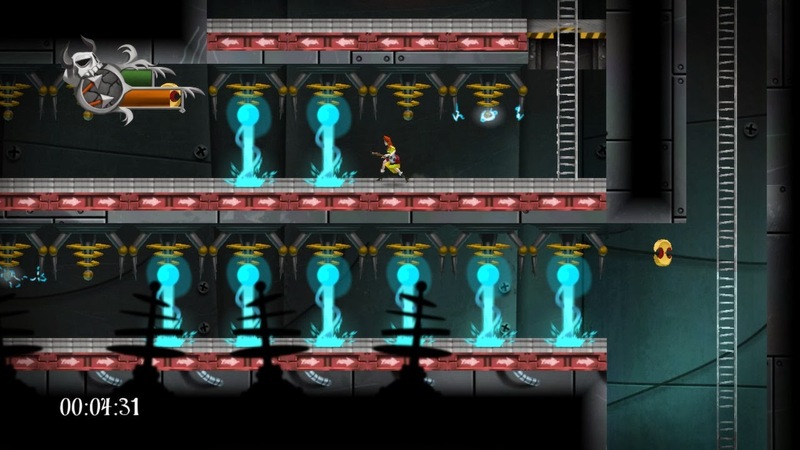 The 2D platforming genre has seen a resurgence in recent years. While many have been entertaining, most took the idea of homage to a bit of an extreme, leaving the experience more copied than original. Others seem to have taken a different route in terms of difficulty, throwing countless enemies at you in ways that make damage unavoidable. BOTW goes a somewhat different route. The enemies certainly increase in number and difficulty, but it's more often the environment that kills you. Crushing traps and crumbling platforms are more your nemeses than any vampires or fish-men. In this way, BOTW leans more on the players skill than other games. The environmental challenges aren't ones you can simply kill. Many platformers that focus on combat difficulty, no matter how devious the enemies, devolve quickly into games of exploits. Players end up focusing more on finding cheap ways to exploit the level design or combat mechanics. Finding an unreachable ledge and spamming weak attacks at your enemy until they die is an age old cheapskate move (and one that has served me well). The trouble is, there's little reward in those victories. They become chores, and the game consequently becomes a slog. BOTW's focus on skill based challenges creates a far more rewarding experience. It's one thing to find a sneaky way of dealing with a particular enemy. It's quite another to finally work your way past a seemingly endless gauntlet after dying more than 30 times. The level design is superb. The experience only works because the levels are so precisely put together. The more insidious rooms are placed and sized to keep your goals just out of easy reach. It's function is that of the dangling carrot. Keeping the play moving forward and constantly encouraging you. "Come on, it's right there!" The games performance on PC is marvelous. Even on modest machines, the game seldom dips below 50-60 fps. The only difficulty I encountered in my time on PC were the controls. BOTW is really best experienced with a controller. The keyboard controls are usable, but hardly ideal for a game that asks players to act so precisely. 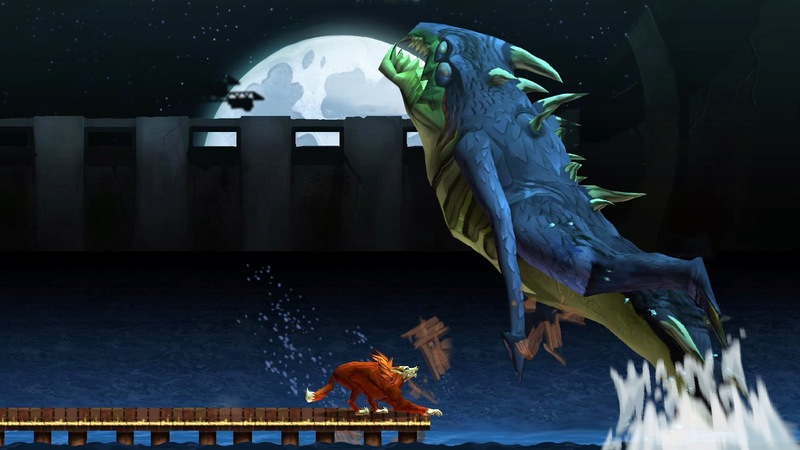 Blood of the Werewolf is on the short list for our favorite games of the year. It's smart, carefully designed, and more than a match for most players, even old salts like me.